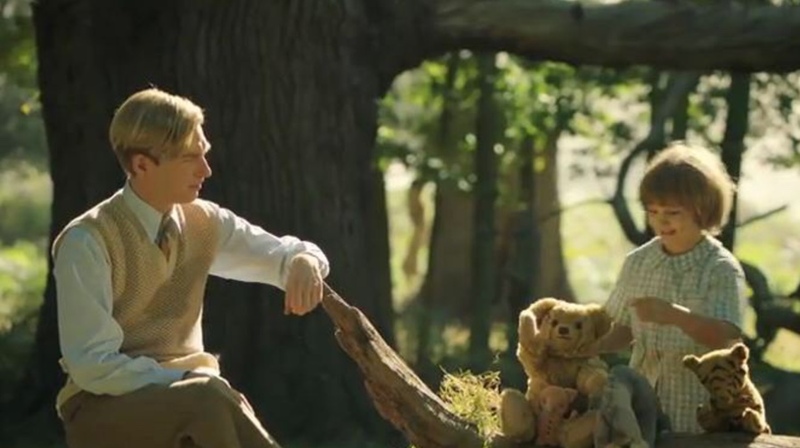 You may have seen the recent TV commercial trailer with the adored Winnie the Pooh bouncing back to life for movie Christopher Robin. They lost the race to 2017’s Goodbye Christopher Robin. This is not that. Do not confuse this year’s Disney work with last year’s pioneering piece directed by Simon Curtis from a screenplay by Frank Cottrell-Boyce and Simon Vaughan. Goodbye Christopher Robin is one serious work. We find A.A. Milne returned from World War I, decidedly a victim of PTSD and struggling to return to the writer’s life in London. His wife Daphne is less than equipped to cope with his mood changes, not to mention the arrival of their first, a precious boy whom they long expected would be a girl. Domhnall Gleeson and Margot Robbie are complicated through all stages of this mercurial partnership as they struggle to find themselves and a middle ground, from London to the sprawling countryside that gave way to the fertile literary grounds of Winnie the Pooh. The best acting work, though, comes from cherubic child Will Tilston, whose character Billy Moon is a complex piece of work with parents who love him, sure, but might not always carry his best interests down the roads of life as they place him in the hands of his nanny and then thrust him into the harsh light of millions of eyes. This was a complex family relationship that led to simply the world’s most beloved children’s stories, and plenty of wounds are made, and opened, for all to discover in this telling. 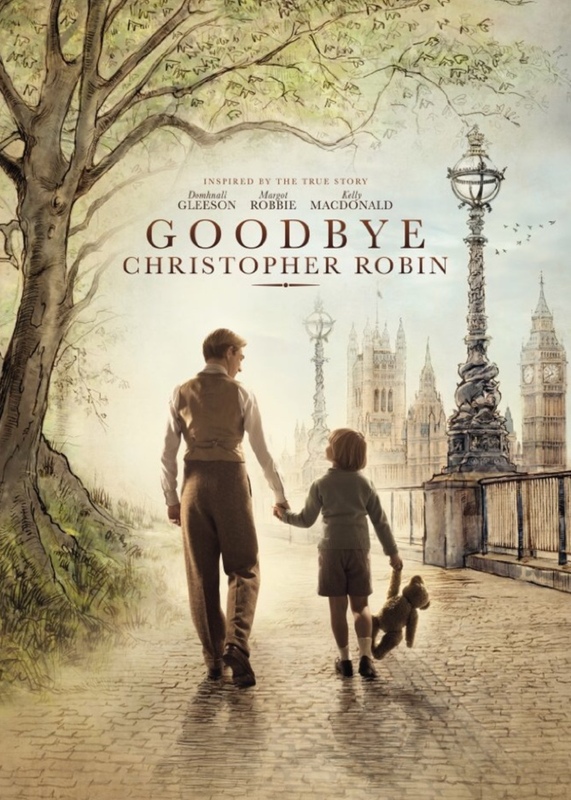 Central New Yorkers can view Goodbye Christopher Robin free at 3:30 p.m. Friday, Sept. 7, at the Liverpool Public Library. For the love of money or just love? i recently saw this one, (courtesy of my local library), and was surprised to find out the whole story. it was well-acted and realistic, in that there was no black or white, and many grey areas. I agree, Beth. Very honest movie this is. I have not heard of this, now I need to see it. I read some more about it after reading your post. I think you have prepared me well for it. Good to know! So you’d recommend the slightly older version versus the one in theaters now? I have not seen the one in theaters yet, Kay, it being easier (and more affordable) to wait the months until I can get the free Blu-Ray version at my library these days. But I do recommend this version, for sure.